Traditional RV financing makes the process very complicated by requiring you find a Camper you like, and then discuss financing. No Credit Campers.com offers a solution that allows you to have the cash in your hand BEFORE you go shopping for you dream Camper. This allows you to negotiate the most fair pricing to dealers and private party purchases by giving you the power to say you have the cash in hand. No Credit Campers saves you the hassle of shopping around by offering over 500 financing partners to assure you receive the best offers. There is never a minimum credit score required as we work hard to get every application funded. We've eliminated the middle man and made the whole process more efficient. Go into dealerships, craigslist, and Facebook groups with the confidence of having cash on hand. No Credit Campers.com made sure to only work with financing partners who do direct loans. It's your money, don't let the dealerships and banks make money off of it. Approved loans are funded directly into your bank account. You choose what you want to do with your money. OK your ready to get an RV loan to buy your dream RV, but you have questions. Where do I go to get a loan? Should I do something prior to getting a loan?. How do I get a good interest rate? Will I be able to afford the monthly payments? What if I get turned down? Oh Great, now I am dazed and really confused and my head is spinning and I feel ill. Calm Down and take a breath, I am going to help you. Getting an RV Loan isn't Rocket Science (actually Rocket Science is easier than getting an RV loan, JUST KIDDING). How do I get a good interest rate? The first thing you need to understand is that just like any loan your interest rate is based on your Credit Score. Do you even know what your Credit Score is? This is an important topic, so we have dedicated a whole page to it. Your RV Loan Interest Rate Will Depend on Your Credit Score. Once you've completed the section on credit reports you should review the two additional steps to getting a loan for an RV. These steps will answer all of your other questions about getting a loan for an RV. Step 1: What to do before financing an RV. Actually these are items that you should ponder, before actually seeking a loan. These are monthly costs for owning an RV and should be reviewed before deciding what monthly loan payment amount you can afford. Some of these items may not have even crossed your mind, that is why I am here to bring them to your attention (because that's what I do). Step 2: Is a primer (tells you how to do things) on getting the best loan you can on your RV purchase. How diligent you are at completing step 1 will determine, how well step 2 will turn out (that's a hint, if you skipped step 1, you might want to go back and take a look at it). I will give you a few tips on shopping for a loan (and this is definitely not like buying eggs at a supermarket with a coupon). I know how excited you are about getting an RV. We were too, when we got our first RV and our second RV and our third RV etc. By providing these steps, I hope that I have helped answer some of your questions about RV Loans. Once you have purchased your RV, you will have a chance to experience the RVing Lifestyle, and I know just like us, you will loveit. The memories you create by RVing will last you a lifetime making the steps you had to take to get your RV worth the effort. Thanks for stopping by and Happy RVing. Statistics show that the 80/20 rule applies to RV sales profits. This means that approximately 80% of all RV's sold will make the dealer an acceptable profit. How much is that? I can tell you it is measured in the thousands... and even tens of thousands of dollars. As you will learn, this applies not only to the sale but also to the RV financing. How about the other 20%? Most of them will fall into the area of "just under the acceptable range". But, they are still paying the dealer several thousand dollars in profit. Actually, only about 10% - 20% of RV sales made last year were at a profit margin that would be considered totally unacceptable to the dealer. In other words, the customer won... and won BIG! I've always believed that buying, or selling an RV, really doesn't have to be that difficult. It basically depends on how each of the parties involved has been trained, and what they have learned. My sales people have always been taught to be courteous, helpful, and most of all professional. They return phone calls. They send thank you notes. And, they treat each and every customer with respect. 1. Make a reasonable profit. We have earned it and we deserve it. We have to pay the mortgage, utilities, salaries, RV sales, and financing commissions, etc. So by all means, make us a reasonable profit. 2. Sell RV's. Always try to make a reasonable profit, but if you can't... at least try to make some profit. A little of something is better than a whole lot of nothing. It's really very easy to save a substantial amount on the purchase of your next RV... If, and only if you know exactly what to do. Here's a look at a typical outing to the local, or not-so-local RV dealership. Most people walk into an RV dealership with the impression that they are going into battle. They bristle with resistance as the salesman introduces himself, and begins the cat and mouse game of "I can sell you... No, you can't." The salesman is asking qualifying questions, to hopefully keep from walking all over the lot and showing each and every RV. You are simply trying to see the different styles, options, colors, models, etc. It is a tug of war... But it doesn't have to result in all-out war. Obviously, the dealer, as the individual or business that has shelled out literally millions of dollars to provide a good inventory of recreational vehicles, has the right to regulate the flow of potential customers through his doors. He also has the right to dictate what type of methods his salespeople use. When people walk through the doors of the dealership, many salesmen, like a cop in a bad movie, will subconsciously read you your RV Miranda Rights. You, as the consumer also have a set of rights that you should go over mentally as you walk through the doors of any dealership. 1. You have the right to be knowledgeable. Anything you have learned can be used against any high-pressure tactics of a salesperson or over-aggressive sales or finance manager. 2. You have the right to take your time. Although you do have the right to know how to use urgency to your advantage. 3. You have the right to know the wholesale and retail book value of your trade-in, as well as the RV you are potentially buying. 4. If you finance your RV, you have the right to choose your own source for your RV Loan, at the best interest rate and terms possible. 5. If you choose to purchase an RV Warranty, you have the right to a fair price and a reputable company. Clearly, the dealer is entitled to some profit... Without it he could never survive. Many dealers make HUGE profits on the RV's they sell. Your job as a consumer is to make sure that he pays the rent on the next buyer... Not you. Most people never take the time and/or money to learn. They don't realize that when they walk into the dealership and sit down, they have taken a knife to a gun fight. Dealerships spend thousands of dollars training their salespeople to make a good profit on each and every person they work with. Yet still, the vast majority of buyers never take the time to really learn how to buy an RV at a minimal profit for the dealer. Unfortunately, there is very little good information out there on the subject of RV related SAVINGS! There are plenty of books on how to use your RV, fix your RV, and travel in your RV. There are even some books on the subject of buying an RV. But all of them combined seem to provide very little real-world, down and dirty strategies for saving money. I have read every book that is available on the subject and find all of them very lacking in good advice. If you are only armed with the advice in these manuals, a good salesman will eat your lunch every time. Not only must you be able to buy your RV very near the dealer's cost, you must be skilled in evaluating the quality, or lack of it, in the various makes and models you have to choose from. One important thing to consider is the issue of a trade-in. Should you put forth the effort to sell your own RV before you purchase another one? "Effort", is the key factor. If you put in the effort, you deserve to keep the profits of your labors. If you trade in your RV, the dealer will be the one who puts forth the effort to sell your unit. He will be the one to make interest payments on it while it sits on his lot. He will incur the advertising expense, sales commissions, etc. He will also have to fix any defects or problems as well as typically providing a warranty on the unit for a minimum of 30 days. People ask me time and time again: "When is the best time to buy an RV?" My answer is always the same. "Anytime..." They then typically reply: "No, I mean is Winter the best time? Or maybe at the RV Shows? What about the end of the month, I've heard that is the best time of the month..."
The truth of the matter is this: RV dealers need to sell and finance RVs all year long. Some sales make a lot, some sales make a little. Your job is to make sure you have the skills to play the game effectively. As long you are armed with the proper tools, and by that I mean information and knowledge, you should be able to negotiate a deal that is fair to both you and dealer. No matter what time of year, remember... Knowledge is power. Use it to your advantage. Do your homework. Research various models and dealer pricing. Leave your checkbook at home until you are ready to make an offer. Remember the value of the Internet and the ease of shopping it offers. And always remember... Be kind to your local RV dealer. He is the one most likely to be servicing and repairing your RV. A few dollars more - spent locally... Are wisely spent. Many people who contemplate financing an RV, or any other high-ticket item such as a boat or private aircraft, are intimidated by the length of the financing term needed for an acceptable payment. Typical financing terms are 10 to 20 years, with 15 years being the most common. Some consumers choose a shorter financing term and a higher payment simply because of their fear of the longer-term commitment. Even though they obviously know RV owners rarely, if ever, keep an RV for the entire term of their financing; they choose a shorter loan term. They unnecessarily strap themselves to a higher payment that could strain their budget - should illness, unemployment or other hard times take place. Most buyers choose the longest term available to secure the lowest payment possible - even though they could afford much more. They pay more interest than principal during most, if not all of their actual loan period, and wind up in an "upside-down" position. In other words, the remaining payoff on their loan is much more than the actual value of their unit when the time comes to trade or sell their RV. Savvy RV buyers use a "Hybrid" type of financing system to get the best of both worlds. They finance the RV for the longest term available for the loan amount, which makes the payment lower than they can actually afford. During the loan, they make the monthly payment PLUS an additional amount, which is directly subtracted from the principal amount of the loan. When this approach is followed with a good degree of discipline, it can lower the "effective" interest rate to as much as half the original rate - as well as dramatically shortening the length of the loan term. It also allows the most flexibility. Should the borrower face a situation where times are rough or money is tight, they still have the luxury of making the lowest payment possible. Now let's assume that this person added $150 to the monthly payment. The example above is ONLY on a loan of $50,000. Imagine the savings if this strategy was applied to an RV loan of $100,000 or more! It is all about planning, application, and discipline. But, if he happens to miss a few months, he just saves a little less. Comparing our last example of a consumer applying a hybrid system - to an individual who took out an 8-year loan upon purchasing the same RV... The hybrid system would have saved nearly 4% in interest over an actual 8-year loan term. By shortening your loan term from 15 years to roughly 8 years, he would have saved over $21,000 in interest. He has also reduced the "effective" interest rate to less than 3%. Plus, the buyer has paid off a 15-year loan in about 8 years! Even if he misses a few months of additional principal payments, he will still have saved thousands of dollars in finance charges. The additional $150 per month added to principal has saved about $78 per month over choosing an 8-year initial loan term. That equates to about $7,500 savings in payment amount over the course of the loan. What if I Don't Make the Additional RV Finance Payment? The key to making a hybrid payment system work - is discipline. You must make the additional principal payment every month, or very close to it. You should be certain your scheduled payment amount plus any additional amount you plan to add toward principal is within your budget. Even if you intend to use a hybrid payment system, but never add an additional penny to the principal loan amount, you will have simply paid off your loan, in the same manner, the majority of RV financing buyers choose. Motorhome and RV loans are considered to be "Recreational Financing". This basically means that they are for "Luxury" items. Things you could live without if best, for some unexpected reason or event, came to worst. Most people have applied for various types of loans in their lifetime. Student loans when you were younger. Auto loans may also be among the first types of loans that you have become familiar with. Later in life, you may have encountered home loans, or even business financing, equipment, inventory and other types of credit lines. This list is seemingly endless, all with different criteria in qualifying and underwriting guidelines. Most of these types of loans are considered necessary expenses, such as your home and auto loan. If times become tough, or if you have unexpected medical bills or become unemployed, these "necessary" expenses are usually bills you would find a way to pay. After all, everyone needs a roof over their head, as well as a means of transportation to get to work, the doctor - or even the unemployment office. You also have other fundamental expenses such as utilities and food. All of these things are considered necessary expenses. Now, you may be considering purchasing an RV, and are possibly finding it much more difficult to qualify for this type of financing. It doesn't seem to make sense, since in many cases, your home, or even your car cost more than the RV or boat you are trying to finance, yet you easily qualified for these loans. Why is it Harder to Buy an RV Than a House? Once again, lenders have to look at the difference between loans for necessary items and "Recreational Financing". The first being things like home and auto loans. The latter, being recreational items like motorhomes, boats or even other power sport related items such as motorcycles or personal watercraft. Before the financial crisis and banking system "Bailout", recreational financing was much easier to obtain, just like the sub-prime home loans that led to the financial meltdown in the first place. Loans with zero down payment and "No Doc"Â loans were readily available - even in the field of recreational lending. Those days are long gone. And, if the banks are giving any indications, likely to never return. Lenders are even looking at a factor called "Payment to Income Ratio". This means that the payment for your new RV cannot exceed roughly 15% of your total monthly income. This is usually not a problem for individuals with higher incomes, but more likely to affect retirees or those on fixed incomes. So, even though recreational financing is more difficult to obtain, it is not impossible by any means. An RV loan pre-approval can be helpful in determining if you qualify, and what price of RV you can afford - or - at least what the bank says you can afford. To obtain pre-approval, you will first need to select a particular year, make and model, and establish an approximate selling price. This information is necessary, since part of the approval is based on the "NADA Loan Value" of that particular year, make and model of RV. Once you have been pre-approved, you can switch to another similar unit and be relatively sure you will qualify, if it is relatively similar to the unit on which you were approved. If you choose an RV Loan Pre-Approval, just enter the information for your "Subject Unit". We can normally receive a decision from the lender in as little as one day, so you're ready to close your loan as soon as you find the RV that's just right for you. You've just signed a purchase agreement with your local (or not-so-local) RV dealer. You know the drill... Your next stop will be the Finance & Insurance Office, (a.k.a. F&I) for your RV loan, financing rates, warranty, insurance, etc. Your salesman does the "hand-off", and suddenly you are faced with a decision that seems simple, but can cost you many times the profit made on the "front end" of your transaction; the "back end", or Finance and Insurance office. As I always try to convey to my clients: "The dealer is NOT the enemy." In fact, he can be your best friend when your RV is in need of service or repair. He has laid out literally MILLIONS of dollars to allow you the opportunity to browse a good selection of units. He has paid his dues and continues to pay them on a daily basis. Keep his - and your best interests at heart when deciding on your source of any potential RV or motorhome financing. There is one hard and fast rule that applies to RV Dealer provided financing. He must "pack" (inflate) the "buy rate" (interest rate) on the financing he provides to his customers to earn a profit on the transaction. Once again, he uses this profit to pay overhead, commissions, etc. 1. Should you consider the benefits of financing through your RV dealer? Yes. 2. Are you stuck with the financing and interest rate he quotes? NO. 3. Should you consider alternative sources of financing? Definitely! 4. Should I check Internet RV Loan Rates First? You MUST know the current rates! Most RV buyers are so frazzled by the time they finish the negotiation to finalize the purchase of a new RV that they fold under the pressure of the F&I office. This can be a costly mistake. Shopping for your best interest rate and terms can be just as important as shopping for the right RV, and negotiating your best price. In fact, you stand to save literally THOUSANDS of dollars by simply lowering your interest rate by a quarter to a half of a percent. Online RV finance companies normally use many of the same lenders that RV dealers use. It's simply a matter of overhead and the cost of doing business. Since the Internet-based companies generally have lower operating costs, they are able to pass the savings on to you. Most Internet RV finance sources have online rate quote forms and loan applications which can be completed in a matter of minutes. Normally, credit approval can be obtained the same day you apply. When you submit your online application, you should also be prepared to send some additional documentation, which is necessary for your approval. Complete Our RV Loan Pre-Approval Application Now! If you are SELF-EMPLOYED, you will normally be required to send your last 2 years tax returns and any attached schedules. If you are RETIRED, you will need to provide documentation of social security benefits, pensions, dividends or other sources of income. A copy of your purchase agreement with the seller. A copy of the title. (MSO on new units). Proof of insurance with the lender listed as "Loss Payee". Copies of all the applicant(s) driver's licenses. Most onine RV loans take from 4 to 6 business days to complete. Information must be collected, and documents must be sent by overnight mail for your signatures, and then sent overnight mail back to the lender. When arranging the purchase of an RV, you should typically allow a week or so for your scheduled delivery date. This should allow plenty of time for rate shopping, loan approval, and closing. When your loan closing is completed, funds can be sent to the seller by overnight mail, or simply wire transferred. To save time, you may also choose an RV loan pre-approval so you're ready to close as soon as you find the right RV. Which Type of Financing is Best? If you want EASY? Let the dealer handle it. If you want the BEST RATE? Do a little work. Sure you will have to do a little more work, but if you break down your long-term savings into the actual time you have spent researching and completing your RV loan... You could be making a VERY short-lived hourly wage roughly equivalent to that of Bill Gates. Introduction into the different types and classes of RVs and what makes each type unique. This is the perfect guide for “newbies”. For inventory options click here. For loan interactive loan mall click here. Often referred to as a diesel pusher motorhome. The large diesel engine on this motorhome is located in the rear of the coach, which ads extra power to the RV when compared to its gas powered counterpart. Having the engine in the rear also adds to the quietness and smoothness of the ride. The diesel engine essentially pushes the motorhome down the road. Class A diesel motorhomes are great for long trips, and cross-country adventures. In many instances they are the perfect RV for the full-time RV’er. The diesel engine usually lasts longer and is more durable than the gas engine on other Class A’s. Diesel motorhomes are the epitome of luxury RVing. Class A Motorhomes are a popular option for full-time or long-term RV’ers. Class A’s offer many of the comforts of home including residential full-sized furniture, slide-outs for added space, often times a residential refrigerator, and even potentially a washer and dryer (depending on the RV). Class A motorhomes resemble a bus, with a vertical front windshield with large windows. These motorhomes are usually built on a truck chassis and attached to the cab portion. Some manufacturers of Class C engines include Chevy, Ford, and Mercedes Benz. Class C RV’s have a distinctive “cab-over” profile that makes them easy to recognize. Many class C’s offer similar amenities to their class A counterparts, just on a smaller chassis. Class C Motorhomes are perfect for RVers of all types from families, to singles, to those that love remote exploring and camping. Fifth wheels are the largest type of towable RV. They are pulled by large pick-up trucks with a special fifth wheel hitch. Fifth wheels have large living spaces, and are easy to tow given their size. Travel trailers are quite possibly the most recognizable form of RV on the roads and in campgrounds today. The Travel Trailer is also known by many as the “camper.” It is designed to be towed by a bumper hitch or a frame hitch. Travel trailers were designed with all types of RVers in mind. Multiple floor plans and styles are available to suite your every need. Travel trailers are favorites amongst RVers who enjoy the freedom of having a vehicle to enjoy their destination and a complete home unit wherever they are. Fold Downs are also commonly known as a “camper trailer,” “pop-up,” or tent trailer. This form of RV is versatile, and perfect for the young family who is looking to enter the towable RV marketplace. Camper trailers have often been the constant fixture in family camping throughout the years. Many times “pop-ups” are the first trailer that an RV’er purchases. They are lightweight, which means they are towable by virtually every type of vehicle. These towable RV’s are available in a variety of lengths, and often are available with options such as refrigerators, hot water, air conditioning, and even bathrooms. Truck campers are in many ways the most versatile type of RV. These recreational vehicles are capable of going anywhere your pick-up truck would go. In fact they affix right to the back of a truck, over the truck bed. The truck camper has been around since the early 1950’s and innovations wheels usually have large ceiling heights and more slide-out rooms when throughout the years have made the interiors much larger and expansive than when they were first introduced. Expandable RV’s are designed to be towed by mid-sized vehicles with a bumper or frame hitch. Expandables are in many ways a camper trailer with hard sides, as opposed to tent material sides. However, they do have expandable tent ends. Expandables are often the second RV in which entry-level buyers turn to after the “fold-down” camper. Expandable RV’s are often viewed as an upgrade to the camper trailer due to their durable side walls. Many expandables come with a kitchen, living space, bathroom, and even a slide out. Toy Haulers are built to haul all and accommodate all of your toys. They are perfect for those RVers who want to hail snowmobiles, ATV’s, four wheelers, or even motorcycles. Toy hauler RV’s have a large cargo garage in the rear of the RV and are available in toy hauler, fifth wheel, or even motorhome styles. Lenders look at several factors when underwriting each RV loan. Every lender is different and stronger areas of your credit profile can help outweigh weaker ones. There are several consistent factors that each lender will pay careful attention to when considering a potential loan. 1. Credit Score - When evaluating the purchasing of a car or even a home, lenders commonly grant an approval based on factors and credit scores lower than those required to purchase an RV. These items, RVs and boats, are considered luxury items. If you were to lose a job, become disabled, or become unable to pay your normal bills, then it is common sense to assume you will stop paying "luxury" items first. 2. Debt-to-Income Ratio - Your debt-to-income ratio is the percentage of your monthly revolving debt in relation to your gross monthly income. Revolving debt is generally considered to be expenses such as monthly mortgage payments, auto payments, credit card debt and other things that may contribute to your monthly debt obligations. Monthly expenses like utilities and other personal items such as cell phone bills are not considered in computing debt-to-income ratios. Complete Our EASY On-Line Application Now! Currently, lenders are limiting the maximum debt-to-income ratios at 42% to 45%. As little as an additional percent or two can be cause for a decline. You can figure your own debt to income ratio by dividing your total monthly revolving debt by your gross monthly income. For example, to figure your own ratio, use a calculator as follows: $4,000 (monthly debt) divided by $10,000 (monthly income) equals 40% (debt-to-income ratio). Your own figures won't be as simple as this example, but be sure to use "monthly debt divided by monthly income" to get the correct percentage. 3. Liquidity - Liquidity is basically your total amount of readily available cash. Things that are considered are checking accounts, savings accounts, securities and investments. Company retirement accounts that are inaccessible or cause serious penalties for withdrawal are normally not regarded as "liquid assets". In other words, how much money do you have available to pay bills if your income is interrupted, either temporarily or permanently? There is no set amount or ratio that can be computed. Each lender and situation is evaluated on a case-by-case basis. Excellent credit could allow a lender to accept lower liquidity and vise versa. 4. Loan Value - As with nearly every type of loan, the value of the item being purchased is a consideration. An RV's value is normally determined by its "book value" as listed in the N.A.D.A. valuation guide. Some lenders add value for optional equipment while others do not. Each has its own formula for determining the loan value of a particular RV. You can look up RV values at NADA RV Values website, but be cautious of how many options you check as applicable. Many of these options are considered standard equipment by both the lender and the unit's manufacturer. For example: A refrigerator is always standard equipment, but a larger, side-by-side with an ice maker would be considered optional equipment. Since the loan value of a particular RV is a major factor considered in the approval of each RV loan preapproval, you will need to provide basic information on one specific unit, no matter if it is for an actual loan approval or a pre-approval. It's normally advisable to wait until you have narrowed down your choices to a particular type, year and price range. You can then provide a subject RV's information for the pre-approval. As long as you stay close to the subject vehicle's basic information, the lender can simply switch the collateral (RV information) on the same approval. You should be wary of "shopping" your RV loan pre-approval to multiple brokers since each one will pull your credit report from one or all three credit bureaus several times. Each broker's loan processing department will need to pull your credit for their own records and information as well as any lender(s) the loan is sent to for potential approval. Complete Our Easy RV Loan Pre-Application Now! Multiple credit inquiries can lower your credit score by several points per inquiry, although lenders realize that some inquiries are part of any loan approval and consider a few to be normal. Excessive inquiries, 3 to 4 or more in a very short period of time can damage your borrowing ability. Multiple credit inquiries or "Hits" as they are sometimes called, may appear as if you are shopping for loans because you have been turned down elsewhere, even if that isn't the case. By applying with a single broker or lender you can avoid the problem of multiple financing inquiries on your credit report on the three major credit-reporting agencies. Also, by having your RV loan pre-approved you are able to close on your purchase much faster than if you wait until you find the exact unit you decide to purchase. This is especially helpful when buying on eBay, from other online sources or from a seller who may have other potential buyers who could "beat you to the punch" while you wait for your loan approval. 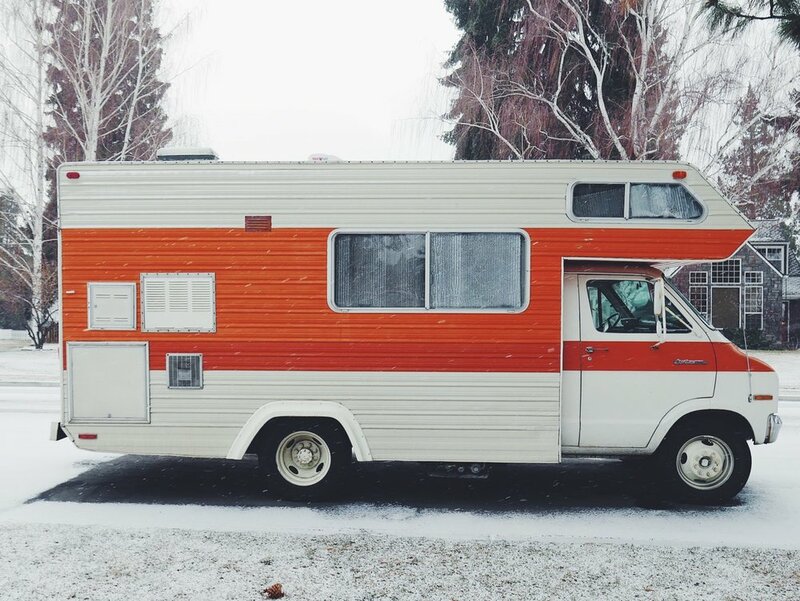 Just as you shop for the exact RV you may decide to purchase, it is wise to do your homework and check the rates, fees, and terms of various lending sources before you apply for your loan pre-approval. Once you have narrowed your choices down to one or two sources, then you can proceed with your RV loan pre-approval application. Once approved, you will be prepared and ready to purchase the RV that's just right for you. No Credit Campers RVs specializes in loan approval. We work with a number of lenders including national banks, local credit unions, and some banks that work exclusively with sub-prime RV and Travel Trailer loans. While the decision is ultimately up to the banks, we will try our best to get you approved at the best rates possible, no matter what your credit situation is. Get started here! One reason No Credit Campers RVs has such good luck with bad credit approvals is because our prices are typically well below the "book value." Banks love this because it is a safe investment. Look for "part-time use" RVs and travel trailers. Banks don't like to loan to full-timers or anyone using their RV as a temporary or permanent residence. Q: What will my payment be? A: Payments depend on a number of factors including the loan amount, loan term (how many months), and the interest rate you get approved for. Sub-prime interest rates on RV loans generally range between 17.95% and 20.95%. Q: Why are rates so high? A: To answer this question, you must think like a bank. In any loan situation, the rate is always negatively correlated with your credit score. In other words, the higher your credit score, the lower the rate, and vice versa. This is because your credit score tells a bank how risky it is to loan money to you. RV loans also tend to draw slightly higher rates than car loans do, because an RV is "want" and not a "need." The bank assumes that if times get tough, your RV payment will be a lower priority than your house or car payment. Q: What happens after I fill out the Online Financing Application? A: The application gets sent directly to our finance manager. Before doing anything, we always contact the customer to find out exactly what he or she would like to accomplish and what steps are needed to get there. From there, the process depends on what the customer's goals are. Nothing will be done without the customer's permission. Q. Can I get an RV loan with No Money Down? A: Not likely. Banks typically look for at least 10% down for sub-prime loans. Q. What is the maximum loan term when financing an RV with bad credit? A: The maximum loan term can range from 96, up to 144! This limit depends on factors such as how much money you put down, the year and type of RV that you are purchasing, and your credit score. Q. Can No Credit Campers RVs help me get a loan if I am buying an RV from another person? A: No. We are not lenders ourselves, and can only help you get approved for loans on RVs and Travel Trailers that we sell. With our extensive inventory, there's a good chance you can find what you are looking for. Please browse our inventory , or contact a salesmen if you need help finding something that suits your needs! Q: I have heard that pulling my credit report can hurt my credit score... Will my credit score be hurt from filling out the Online Financing Applications? A: Your credit score WILL NOT be affected by filling out the Online Financing Application. Again, the application goes directly to our finance manager and no further action will take place until we contact you. That means we will not pull your credit report, send the application out to any banks, or share your information without discussing it with you first. Q: How do I know my information is safe?